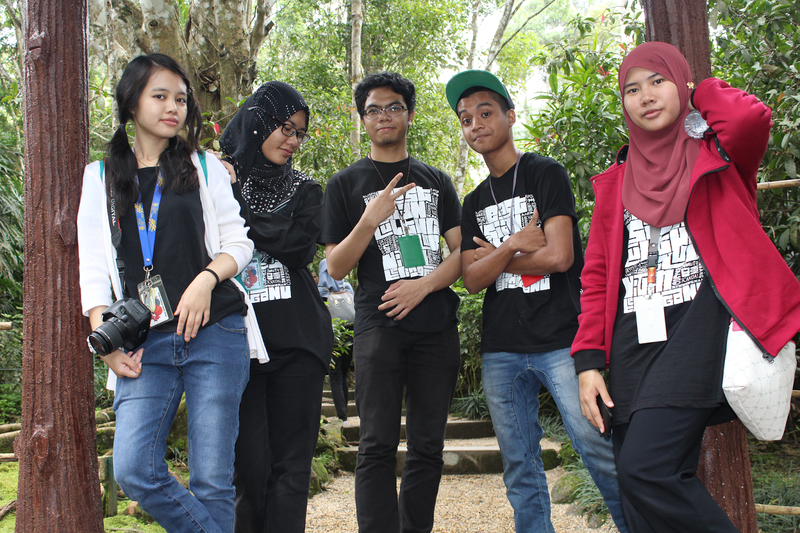 Short and sweet entry, memories with East Asian Culture Club. On 20 February 2016, we leave around 5 A.M from Dungun, Terengganu. We fill our belly first with breakfast at RnR Temerloh. The "nasi lemak" so umphhh! (Oh also the sandwiches), Yes i'm a big eater. Before that, i want to tell you about this trip, thanks to our KP( Ketua Projek), Najmi, for manage to make this trip a successful trip. This trip are intent to strengthen our relationship with another members of EACC. So, with total of 40 pax, there are about 5 groups, with random people. Its fun right? We meeting with them every week but we never take advantage to know more about them. We arrived at Bukit Tinggi around 11 A.M after hustle and bustle. What to say anymore, everyone so excited to take pictures. Click over here, click over there. It had gone... wild for a moment hahaha. Ok, What is this. Hahaha. After effect landing maybe. The view of Colmar Tropicale French Theme Resort. I wish i can live around here. I teach them how to pose indian style, but fail ultimately OTL. This is my style as photographer hahaha, that's why every picture has sun shine in it. Cause we know we can. Hipster la sangat ye kononnya. Whoever take this picture, Thank you. We came out prettily. I wish to live here too.. so calm. We rent our kimono at Tatami Spa. At this time i feel like a red carpet celebrity. Tak tau nak pandang mana. Cameras is everywhere, not to mention DSLR also. Hahaha. Again with group B. I don't know what Nik and Aida doing. Orang suruh posing, berangan plak. Everyone see me as cute and demure that day. But, Lula is Lula. Kennot escape to take peliks pics. And we went to Botanical garden. Nothing much here except flower, plant, and herbs. But i have a pic of Botanical Garden model. Fufufu. Owh i forget to mention, this trip collaboration with EACC Chendering also. We enter Animal Park. U see that guy who look scared with the rabbit. Animals don't like him. Pity you. Haha. And a huge family. I don't have proper picture of us yet. But i will upload soon once i get it. It short, but it hold great memories within us. 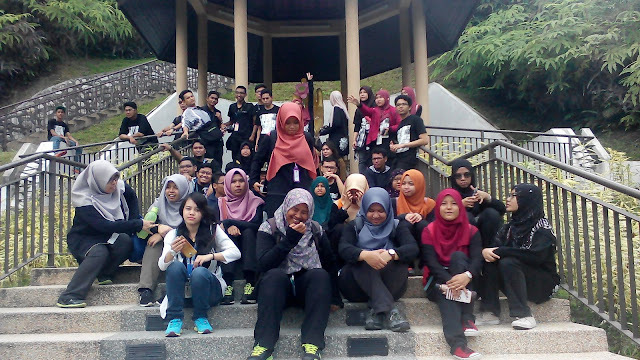 For me it is a great memory, cause y'know i'm a senior and this is my last sem with them T_T . Anyway. Disclaimer : Any change of fact or misleading about Bukit Tinggi on this blog because of rules and regulations of Bukit Tinggi itself. Peredaran zaman orang kata.